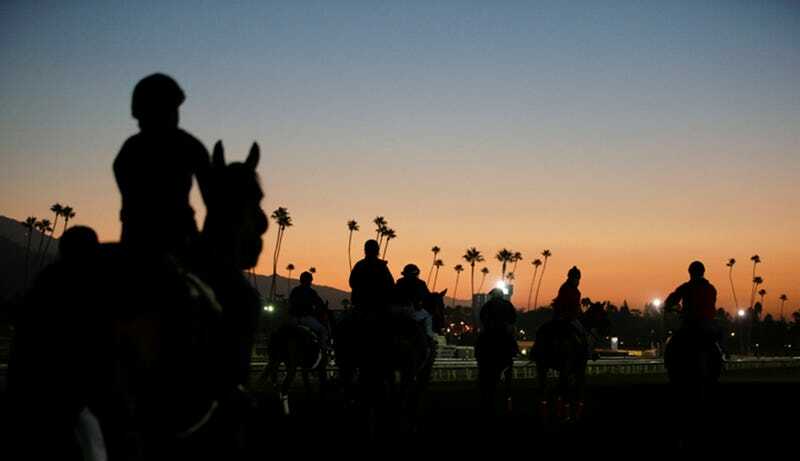 Two days after the Santa Anita racetrack reopened following a shutdown to allow track operators to investigate why so many horses were getting injured and euthanized, another horse got injured and was euthanized. Arms Runner, a 5-year-old horse, fell on the dirt and broke his right leg yesterday during a race. His injury was reportedly “catastrophic” and he was euthanized shortly after. Arms Runner is the 23rd horse to die in the last three months at Santa Anita. The track shut down on March 5 after news broke that 21 horses had died in a two-month period, and though nobody could figure out why horses kept dying, the track surface was apparently not the primary issue. So the track reopened for workouts on March 11, and three days later, Princess Lili B fell, broke both of her front legs, and was subsequently euthanized. 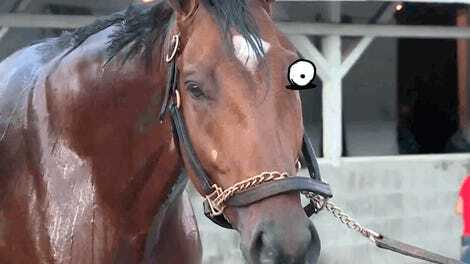 Despite 23 horses dying since Christmas, track operators still don’t know why Santa Anita is so deadly. The track is scheduled to reopen for workouts today and will host races again this weekend, including the Santa Anita Derby, which has a $1,000,000 purse.